Gender stereotypes suggest that men are usually tough and women are usually tender. A new study published in Psychological Science, a journal of the Association for Psychological Science, finds these stereotypes have some real bodily truth for our brains; when people look at a gender-neutral face, they are more likely to judge it as male if they’re touching something hard and as female if they’re touching something soft. Several studies have found recently that we understand many concepts through our bodies. For example, weight conveys importance; just giving someone a heavy clipboard to hold will make them judge something as more important than someone who holds a light clipboard. Michael Slepian, a graduate student at Tufts University, and his colleagues wanted to know if this was also true for how people think about gender. For one experiment, people were given either a hard or a soft ball to hold, then told to squeeze it continuously while looking at pictures of faces on a computer. Each face had been made to look exactly gender-neutral, so it was neither male nor female. For each face, the volunteer had to categorize it as male or female. People who were squeezing the soft ball were more likely to judge faces as female, while people who handled the hard ball were more likely to categorize them as male. The same effect was found in a second experiment in which people wrote their answers on a piece of paper with carbon paper underneath; some were told to press hard, to make two copies, and some were told to press lightly, so the carbon paper could be reused. People who were pressing hard were more likely to categorize faces as male, while the soft writers were more likely to choose female. 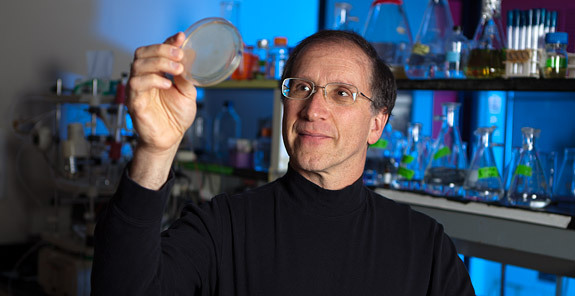 “We were really surprised,” says Slepian, who cowrote the study with Max Weisbuch of the University of Denver, Nicholas O. Rule at the University of Toronto, and Nalini Ambady of Tufts University. “It’s remarkable that the feeling of handling something hard or soft can influence how you visually perceive a face.” The results show that knowledge about social categories, such as gender, is like other kinds of knowledge—it’s partly carried in the body. Sometimes it’s almost impossible to talk without using your hands. These gestures seem to be important to how we think. They provide a visual clue to our thoughts and, a new theory suggests, may even change our thoughts by grounding them in action. University of Chicago psychological scientists Sian Beilock and Susan Goldin-Meadow are bringing together two lines of research: Beilock’s work on how action affects thought and Goldin-Meadow’s work on gesture. After a chat at a conference instigated by Ed Diener, the founding editor of Perspectives on Psychological Science, they designed a study together to look at how gesture affects thought. For the study, published in Psychological Science, a journal of the Association for Psychological Science, Beilock and Goldin-Meadow had volunteers solve a problem known as the Tower of Hanoi. It’s a game in which you have to move stacked disks from one peg to another. After they finished, the volunteers were taken into another room and asked to explain how they did it. (This is virtually impossible to explain without using your hands.) Then the volunteers tried the task again. But there was a trick: For some people, the weight of the disks had secretly changed, such that the smallest disk, which used to be light enough to move with one hand, now needed two hands. People who had used one hand in their gestures when talking about moving the small disk were in trouble when that disk got heavier. They took longer to complete the task than did people who used two hands in their gestures—and the more one-handed gestures they used, the longer they took. This shows that how you gesture affects how you think; Goldin-Meadow and Beilock suggest that the volunteers had cemented how to solve the puzzle in their heads by gesturing about it (and were thrown off by the invisible change in the game). In another version of the experiment, published in Perspectives in Psychological Science, the volunteers were not asked to explain their solution; instead, they solved the puzzle a second time before the disk weights were changed. But moving the disks didn’t affect performance in the way that gesturing about the disks did. The people who gestured did worse after the disk weights switched, but the people who moved the disks did not—they did just as well as before. “Gesture is a special case of action. You might think it would have less effect because it does not have a direct impact on the world,” says Goldin-Meadow. But she and Beilock think it may actually be having a stronger effect, “because gesturing about an act requires you to represent that act.” You aren’t just reaching out and handling the thing you’re talking about; you have to abstract from it, indicating it by a movement of your hands. In the article published in Perspectives in Psychological Science, the two authors review the research on action, gesture, and thought. Gestures make thought concrete, bringing movement to the activity that’s going on in your mind. This could be useful in education; Goldin-Meadow and Beilock have been working on helping children to understand abstract concepts in mathematics, physics, and chemistry by using gesture. “When you’re talking about angular momentum and torque, you’re talking about concepts that have to do with action,” Beilock says. “I’m really interested in whether getting kids to experience some of these actions or gesture about them might change the brain processes they use to understand these concepts.” But even in math where the concepts have little to do with action, gesturing helps children learn—maybe because the gestures themselves are grounded in action. One of the most enduring mysteries in solar physics is why the Sun's outer atmosphere, or corona, is millions of degrees hotter than its surface. Now scientists believe they have discovered a major source of hot gas that replenishes the corona: jets of plasma shooting up from just above the Sun's surface. The finding addresses a fundamental question in astrophysics: how energy is moved from the Sun's interior to create its hot outer atmosphere. "It's always been quite a puzzle to figure out why the Sun's atmosphere is hotter than its surface," says Scott McIntosh, a solar physicist at the High Altitude Observatory of the National Center for Atmospheric Research (NCAR) in Boulder, Colo., who was involved in the study. "By identifying that these jets insert heated plasma into the Sun's outer atmosphere, we can gain a much greater understanding of that region and possibly improve our knowledge of the Sun's subtle influence on the Earth's upper atmosphere." The research, results of which are published this week in the journal Science, was conducted by scientists from Lockheed Martin's Solar and Astrophysics Laboratory (LMSAL), NCAR, and the University of Oslo. It was supported by NASA and the National Science Foundation (NSF), NCAR's sponsor. "These observations are a significant step in understanding observed temperatures in the solar corona," says Rich Behnke of NSF's Division of Atmospheric and Geospace Sciences, which funded the research. "They provide new insight about the energy output of the Sun and other stars. The results are also a great example of the power of collaboration among university, private industry and government scientists and organizations." The research team focused on jets of plasma known as spicules, which are fountains of plasma propelled upward from near the surface of the Sun into the outer atmosphere. For decades scientists believed spicules could send heat into the corona. However, following observational research in the 1980s, it was found that spicule plasma did not reach coronal temperatures, and so the theory largely fell out of vogue. "Heating of spicules to millions of degrees has never been directly observed, so their role in coronal heating had been dismissed as unlikely," says Bart De Pontieu, the lead researcher and a solar physicist at LMSAL. In 2007, De Pontieu, McIntosh, and their colleagues identified a new class of spicules that moved much faster and were shorter-lived than the traditional spicules. These "Type II" spicules shoot upward at high speeds, often in excess of 100 kilometers per second, before disappearing. The rapid disappearance of these jets suggested that the plasma they carried might get very hot, but direct observational evidence of this process was missing. The researchers used new observations from the Atmospheric Imaging Assembly on NASA's recently launched Solar Dynamics Observatory and NASA's Focal Plane Package for the Solar Optical Telescope (SOT) on the Japanese Hinode satellite to test their hypothesis. "The high spatial and temporal resolution of the newer instruments was crucial in revealing this previously hidden coronal mass supply," says McIntosh. "Our observations reveal, for the first time, the one-to-one connection between plasma that is heated to millions of degrees and the spicules that insert this plasma into the corona." The findings provide an observational challenge to the existing theories of coronal heating. During the past few decades, scientists proposed a wide variety of theoretical models, but the lack of detailed observation significantly hampered progress. "One of our biggest challenges is to understand what drives and heats the material in the spicules," says De Pontieu. A key step, according to De Pontieu, will be to better understand the interface region between the Sun's visible surface, or photosphere, and its corona. Another NASA mission, the Interface Region Imaging Spectrograph (IRIS), is scheduled for launch in 2012 to provide high-fidelity data on the complex processes and enormous contrasts of density, temperature and magnetic field between the photosphere and corona. Researchers hope this will reveal more about the spicule heating and launch mechanism. The LMSAL is part of the Lockheed Martin Space Systems Company, which designs and develops, tests, manufactures and operates a full spectrum of advanced-technology systems for national security and military, civil government and commercial customers. Growing up poor can suppress a child's genetic potential to excel cognitively even before the age of 2, according to research from psychologists at The University of Texas at Austin. Half of the gains that wealthier children show on tests of mental ability between 10 months and 2 years of age can be attributed to their genes, the study finds. But children from poorer families, who already lag behind their peers by that age, show almost no improvements that are driven by their genetic makeup. The study of 750 sets of twins by Assistant Professor Elliot Tucker-Drob does not suggest that children from wealthier families are genetically superior or smarter. They simply have more opportunities to reach their potential. These findings go to the heart of the age-old debate about whether "nature" or "nurture" is more important to a child's development. They suggest the two work together and that the right environment can help children begin to reach their genetic potentials at a much earlier age than previously thought. "You can't have environmental contributions to a child's development without genetics. And you can't have genetic contributions without environment," says Tucker-Drob, who is also a research associate in the university's Population Research Center. "Socioeconomic disadvantages suppress children's genetic potentials." The study, published in the journal Psychological Science, was co-authored by K. Paige Harden of The University of Texas at Austin, Mijke Rhemtulla of The University of Texas at Austin and the University of British Columbia, and Eric Turkheimer and David Fask of the University of Virginia. The researchers looked at test results from twins who had taken a version of the Bayley Scales of Infant Development at about 10 months and again at about 2 years of age. The test, which is widely used to measure early cognitive ability, asks children to perform such tasks as pulling a string to ring a bell, putting three cubes in a cup and matching pictures. At 10 months, there was no difference in how the children from different socioeconomic backgrounds performed. By 2 years, children from high socioeconomic background scored significantly higher than those from low socioeconomic backgrounds. In general, the 2-year-olds from poorer families performed very similarly to one another. That was true among both fraternal and identical twins, suggesting that genetic similarity was unrelated to similarities in cognitive ability. Instead, their environments determine their cognitive success. Among 2-year-olds from wealthier families, identical twins (who share identical genetic makeups) performed very similarly to one another. But fraternal twins were not as similar — suggesting their different genetic makeups and potentials were already driving their cognitive abilities. "Our findings suggest that socioeconomic disparities in cognitive development start early," says Tucker-Drob. "For children from poorer homes, genetic influences on changes in cognitive ability were close to zero. For children from wealthier homes, genes accounted for about half of the variation in cognitive changes." The study notes that wealthier parents are often able to provide better educational resources and spend more time with their children but does not examine what factors, in particular, help their children reach their genetic potentials. Tucker-Drob is planning follow-up studies to examine that question. 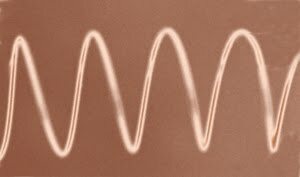 Researchers at North Carolina State University have created the first coils of silicon nanowire on a substrate that can be stretched to more than double their original length, moving us closer to incorporating stretchable electronic devices into clothing, implantable health-monitoring devices, and a host of other applications. Zhu's research team has created the first coils of silicon nanowire on a substrate that can be stretched to more than double their original length, moving us closer to developing stretchable electronic devices. Other researchers have experimented with “buckling” electronic materials into wavy shapes, which can stretch much like the bellows of an accordion. However, Zhu says, the maximum strains for wavy structures occur at localized positions – the peaks and valleys – on the waves. As soon as the failure strain is reached at one of the localized positions, the entire structure fails. “An ideal shape to accommodate large deformation would lead to a uniform strain distribution along the entire length of the structure – a coil spring is one such ideal shape,” Zhu says. “As a result, the wavy materials cannot come close to the coils’ degree of stretchability.” Zhu notes that the coil shape is energetically favorable only for one-dimensional structures, such as wires. Zhu’s team put a rubber substrate under strain and used very specific levels of ultraviolet radiation and ozone to change its mechanical properties, and then placed silicon nanowires on top of the substrate. The nanowires formed coils upon release of the strain. Other researchers have been able to create coils using freestanding nanowires, but have so far been unable to directly integrate those coils on a stretchable substrate.